It's important that I feel fresh especially during work when I'm meeting and greeting parents. I generally carry a small deodorant in my bag for on the go freshness so I can top of during the day. 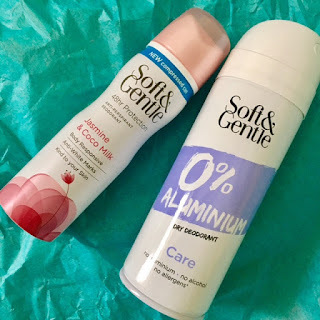 whatever your needs this summer Soft and Gentle has a range suitable for you. Active - a fresh and lightweight scent of green tea. Floral - a fresh and lightweight scent of roses. Care - a fresh and lightweight scent of coconut water. 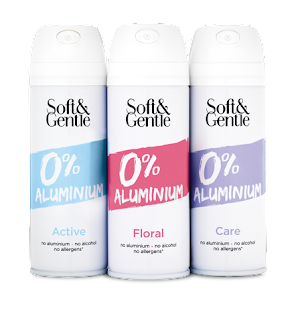 Soft and Gentle aluminum free is scientifically developed with natural plant extracts providing sweat and odour protection. Whichever fragrance you chose you will stay fresh all day. Soft And Gentle Compressed - These compressed sized deodorants are perfect for me, the great thing is that you have the same amount of deodorant but the amount of gas in the can has been reduced. This means that the 75ml compressed can feels lighter than the old 150ml can due to the reduction of gas. but the double high concentrated deodorant will last as long as the old can, which is great news for those like myself who like deodorant on the go. The New Compressed Soft and Gentle deodorant still offers a 48-hour protection and leaves no white marks. 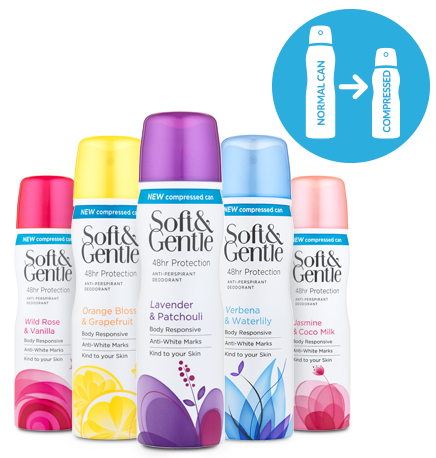 The Soft and Gente range can be found at Boots, ASDA and Superdrug RRP £2.99.